Waking up and having the feeling of being the king of the world? 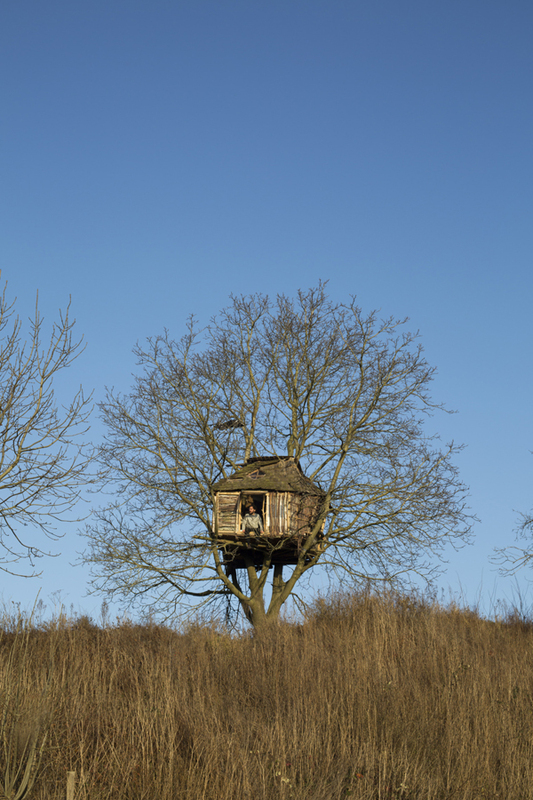 If you are the owner of a treehouse like this one in Beneden Lent (Nijmegen, Netherlands) you can wake up, look outside and watch the nature all around you – like if you were the only habitant of the earth! A very simple and rough treehouse, well integrated into the tree. It’s like if the house grew up with the tree. The mosses and lichens covers the trunk and the roof of the house in the same way. Moreover the cladding of the house are like the branches of the trees that change direction to cover and form the facade of the house and from the roof come out in a natural way. I really love this simple but at the same time so complex treehouse!